Meet our chartered surveyor Richard Clayson, your trusted surveyor in Worthing, West Sussex. Richard Clayson MRICS can provide you with a RICS Home Buyer Survey or Full Building Survey, with a valuation if required. He is an experienced Property Valuer, providing matrimonial property and probate property valuations, as well as valuations for other purposes.  Contact Richard today for advice on all aspects of surveying and valuations, building regulations and planning advice, condition and dilapidation reports, or any of the services provided by a RICS Chartered Surveyor. 23 The number of years Richard Clayson has been a practicing professional surveyor in the West Sussex area. 60+ The number of successful instructions Richard Clayson has undertaken since joining the Right Surveyors. 5,750The amount in pounds that the average UK homebuyer spends on repairs once moved into their new home. Contact Richard today for a quote, or for impartial, no obligations advice.